Four Seasons Hualalai at Historic Ka‘upulehu, Hawaii Island, USA. Ranked #89 in our countdown of the 100 Best Hotels and Resorts in the World. Hualālai follows the shoreline of Hawaii’s historic Kona-Kohala coast, on the Big Island. Low-rise and laidback, the two-storey bungalow-style rooms are designed to maximise ocean views, with louvered shutters, soft colours, beachy Hawaiian fabrics and huge decks for lazing. Tee-off on the 18-hole Jack Nicklaus signature course, dip your toes into any of the seven pools, or sample the spa’s blissfully natural therapies like the Polynesian coconut scrub. 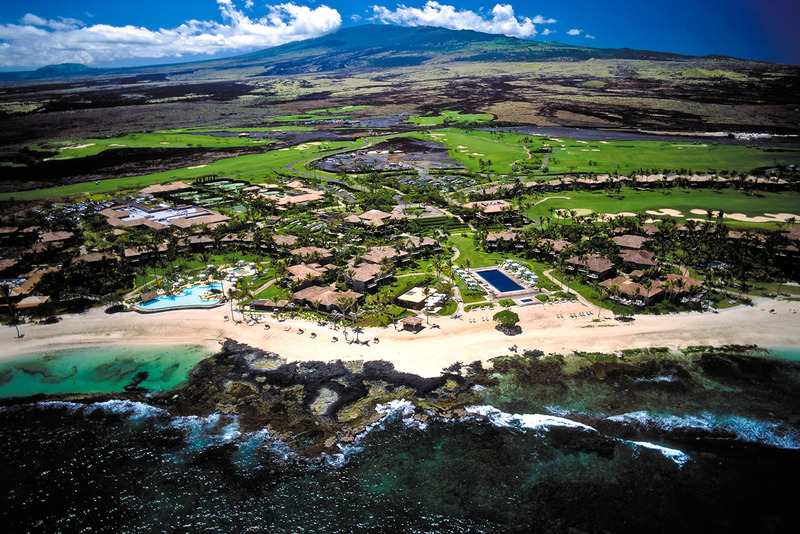 Hualālai is family friendly – there’s space for the kids to go wild, but in a stylish Four Seasons’ kind of way. Did you know The hotel’s vast ocean ‘pool’ is carved from the ancient lava rock. Protected from the waves it provides a home for sea life including ‘honu’ (turtles).